Mr Adams, Sinn Fein’s northern chairman, Bobby Storey and five others arrested in connection with the death of Belfast woman Jean McConville will not be prosecuted over the 1972 killing, it was announced this week. Mr Adams said the timing of his arrest last year -- weeks before European elections -- exposed anti-Sinn Fein motives within the force. He said the decision was “long overdue”. “There was never any real basis for questioning me in respect of this case. I played no act or part in Jean McConville’s death,” he said on Tuesday afternoon. Mr Adams voluntarily went to the PSNI last year after a series of leaks claiming that he was about to be arrested. The alleged evidence against him includes content supplied by American authorities from the Boston College Belfast Project. The tapes from the project were a collection of recorded testimonies from Provisional IRA veterans, interviewed so as to create a historic archive of the conflict on the basis that each participant’s interview would not be made public until the participant’s death. The PSNI gained access to the tapes via the US court system after Boston College agreed to hand them over. Prosecutors claimed the case was abandoned chiefly because the taped interviews would legally be classed as hearsay and therefore too weak to be used as evidence. In one notable exception, veteran republican Ivor Bell, who in recent years has opposed Sinn Fein’s political direction, remains charged in connection with the McConville killing. He is the only person to date to be charged on the strength of alleged evidence contained on the tapes. Mr Adams said Sinn Fein had been the target of a “sustained and malicious campaign”. “These claims have also been seized upon and repeated by my political opponents, including the Taoiseach and the Fianna Fáil leader, to score political points against Sinn Féin and me. “I want to encourage anyone with information to assist in the return of the bodies of those people killed and secretly buried by the IRA. I have worked with others towards this and I will continue to do so. I want to thank those who have come forward with such information. “I am also very conscious of the huge hurt inflicted on the McConville family. The abduction, killing and secret burial of Jean McConville was wrong. 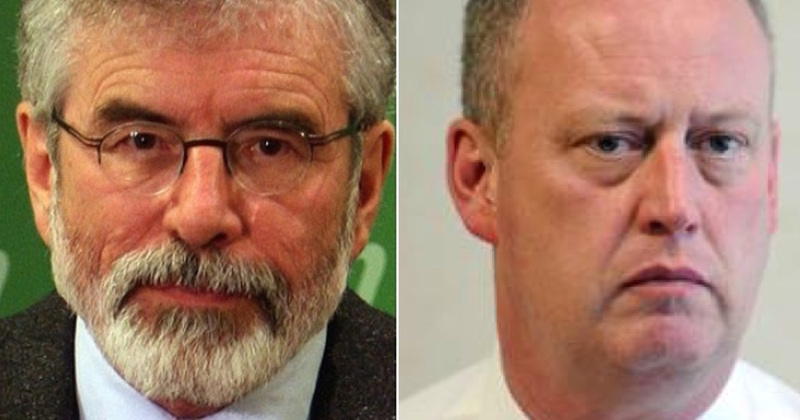 PSNI chief George Hamilton said Mr Adams should go to the Police Ombudsman with any complaint about his treatment. “That’s the right place, that’s the accountability mechanism and we welcome that,” he said. At the time, Mr Adams made a formal complaint about specific aspects of his four-day detention at Antrim police station, after which he was released without charge. His arrest and interrogation generated a wave of renewed attention to the political deadlock in the North of Ireland. His remarks this week echo allegations by Deputy First Minister Martin McGuinness about a “dark side” of policing in the region after the Provisional IRA was blamed for involvement in a recent killing of east Belfast man Kevin McGiugan. Over a dozen ‘mainstream’ republicans were arrested and later released in connection with the death of Mr McGuigan, himself a former republican prisoner. It was alleged the killing was carried out in retaliation for the murder of a former IRA commander, ‘Jock’ Davison, in May. Mr Hamilton suggested Mr Storey also go to the Police Ombudsman. “Let’s see where the evidence takes us, that’s what we’ve been doing and what we will continue to do,” he said.